TowerXchange Meetup Europe addresses the changing world of wireless communications infrastructure. 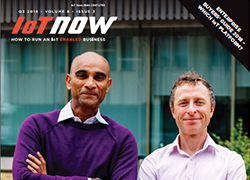 From macro towers to small cells, encompassing fibre connectivity, M&A activity, investment, Master Service Agreements and how both mobile network operators and infrastructure providers are preparing for 5G rollout. Attendees will be able to learn more about how communications infrastructure is evolving as both a user and a service provider to the IoT sector.